Life demands many things from us – a successful career, a stable marriage, perfect children, a certain quality of life. More often than not, we respond with determination and a fierce will. Jesus Christ brought a fresh and radical insight to the endless human struggle with demand, associating it with weakness rather than with strength, with failure rather than success. He believed that we only begin to meet the requirements of life when we despair of our ability to do so. Christians have tended to soften Christ’s words in his Sermon on the Mount, the ultimate expression of moral obligation. Sometimes they equivocate on Jesus’s words, regarding his impossibly high standard an exaggeration for effect, or a metaphor. For Dr. Paul Zahl, anyone living inside the guilt, anxiety, and uncertainty of daily life knows from instinct, and hard experience, that Christ’s words are not a rhetorical device, but rather a form of total demand. Yet, as Zahl points out, our helplessness before the devastating comprehensiveness of divine expectation is what creates the space for God’s amazing grace, and the freedom it produces. This is not in spite of human limits, but in direct connection with them. The message therefore contains an incisive sympathy for those who have crashed and burned under the weight of the Law. Disaster becomes the pre-condition for a new, unfettered life. 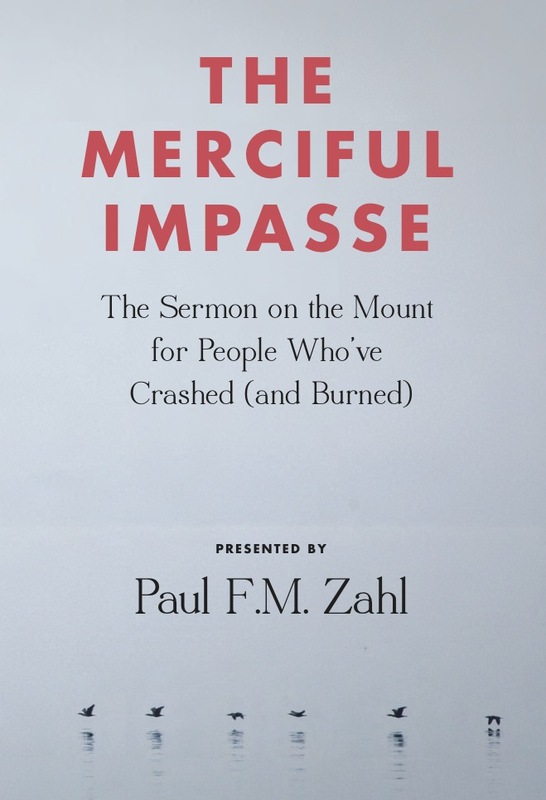 For Zahl, this is not just a theological issue: he applies his understanding of the Law to the most everyday, down-to-earth issues of anger, life in the nuclear family, and the chronic human struggle to wrest hope, and Grace, out of paralyzing situations. Anyone who has listened to Dr. Zahl is aware of his off-the-cuff style, breadth of learning, and zig-zag outbursts of humor. Indeed, he draws in these talks on an almost absurd array of historical, cultural, and literary sources. Yet he never shies away from putting his own ‘cards on the table.’ He seems unafraid to serve as a walking illustration of his theology. Pastorally grounded, psychologically astute, and characteristically hilarious – definitely more entertaining than talks like these have any right to be – The Merciful Impasse breathes new life into familiar teachings from Old-Time. We hope you enjoy this, but hope, even more so, that you will connect with its enlivening wisdom. The Merciful Impasse is a four-CD collection of eight 45-minute talks, available for $10/copy plus shipping.